Recently I discovered this online article from Forbes magazine, about the virtues of self-publishing. It’s more than three years old, but the commentary by contributor David Vinjamuri is still quite timely. Many new authors believe that they will find their salvation in self-pub; and in some very rare cases, they do. But overall, let’s just say that I’m skeptical. 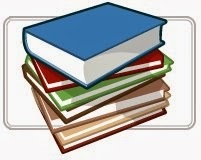 First, a stat that no one can ignore: Over 95% of all self-pub books never sell 100 copies (Publisher’s Weekly). As a writer myself, I certainly understand the passion to get into print. But most writers I meet, have no interest in learning the business. They just want to write, and leave the rest to someone else. Not a good formula for success. Vinjamuri starts out by identifying a few breakout successes of recent years: Amanda Hocking, John Locke, and E.L. James. Indeed, they started out like everyone else: obscure and unappreciated. But their DIY stories found an audience and succeeded beyond their wildest dreams, and kudos to them. What he doesn’t mention, is that these breakout hits represent less than a grain of sand among the vast beach that is the publishing world. They are three among, literally, millions. For any new author to suppose that Locke’s success bodes well for their own work, is madness. And incidentally, what exactly is an “indie” author? For about 100 years in this business, “indie” (independent) meant a publisher that wasn’t among the handful of global conglomerates. (Sourcebooks, Algonquin, and Wiley would be examples of “indie” publishers.) For self-pub authors to claim this label, just seems pretentious to this observer. Could this be true? Does Amazon really defraud their authors of 30% of their due? He cites this stat as if it’s a good thing. Of course, I know what he meant: Amazon pays 70% of net (that's an important detail) on some (but not all) Kindle books, which is pretty good. But there’s a good reason why they are able to pay so well: Unlike any traditional publisher (and many self-pubs), Amazon has absolutely no investment in your project. Zip. Nada. You do all the work, and they rent you a few bytes of space on their super-sized server. And why compare ebook royalties to print? I don't get it. Almost every publisher pays at least double for silicon over paper. Also, this 800-pound gorilla can unilaterally manipulate your price at will, right on down to zero. Do the math: 70% of $9.99 is $7.00 (great! ), but what’s 70% of free? Over the life of your book, your ROI will be far less than what you expected. Contrast this arrangement to HarperCollins, which (on average) invests about 2,000 man-hours (tens of thousands of dollars) in every book they publish. In book terms: The publisher does what’s good for them. You do what’s good for you. If you don't like their offer, you can counter. If they won't budge, you can vote with your feet. Like any business relationship, that’s how it should be. It’s up to you, to learn the process and bring your A game. Secondly, the cost of producing a book has little to do with paper and ink. For the average 80,000-word paperback with a cover price of $14.99, the physical production likely costs less than $2.00. (Except that in self-pub, you might end up with a POD at twice the cost. Yup.) The big money goes into acquisitions, editing, art, marketing, distribution, and retail markup. This has ever been so. Three years out from publication, this article’s vision for the future doesn’t seem likely. The market share of ebooks is declining, and print is making a comeback. The Espresso book-printing machine is nice, but it’s also hugely expensive. Only a few dozen have ever been made. Even here in the vast and dense Los Angeles metro area, only one exists. As for Kirkus reviews, our commentator misunderstands the process. The paid reviews do not get into the magazine that goes out to thousands of book buyers. Rather, they go to the author and the author only, who then has the option to use it or not (in case they hated it). A few years ago, I attended the Los Angeles Times Festival of Books. One of their exhibitors, a major self-pub outfit, had a huge tent with hundreds of their titles on display. With a random sampling of a couple dozen books, I opened each book to a random page. In every instance, within two paragraphs, I found several typos. Or a series of incomprehensible run-on sentences. Or a long sequence of improperly formatted dialogue that was hard to follow. Some of them might have been good stories, even great. But I couldn't tell, because the authors were so proud of their editorial self-sufficiency. One spiritual title stated, "A dove is a semble of the Holy Spirit." (I think he meant symbol.) This sloppiness is doubly tragic, when the author does his writing as his service to God. This has become my normal experience at book fairs, year after year. Sure, self-pub works well for some. Spectacularly so, for a few. But for everyone else, they sell a few copies and walk away heartbroken. Great info, Steve. Self-publishers should realize what they're committing to. Bonnie, did you end a sentence in a preposition? Good catch, Steve. You must be one of those people up with prepositions he will not put. I'm self-published and always get my stories assessed, edited and proofed before publication. I've read many books by well known traditionally published authors that have typos, grammatical errors and spelling mistakes. No proofreader is perfect but some are better than others. Olga, Absolutely true! I have several beta readers, a non-professional editor, and a professional editor review and correct my books. It is a long, expensive process but I want my books to be the best they can be. When all is said and done, I prefer to self-publish but I will continue to have professional help (editor, formatting team, cover design) in getting my books ready for publication. Being as I am new with my first book, the info you shared was very helpful. Thanks. Too many writers don't think it is necessary for their work to be edited and revised. And they don't know enough about the business of publishing and promoting their work to get very much in the sales of their self-published books. Sarah, I so agree. I found that it takes me about two months to edit my manuscript--from beta readers to the professional editor I use. I always go through my work three times before letting anyone else see it. I am floored when my beta readers and editor comes back with simple things I missed. We are too close to see many of our errors so we must have someone else edit and review our work! Good info. I have three friends who have decided to go the self-publishing route. One of the things they did was to form their own self-publishing company. I'd like your opinion on that.